Illustrating one theory of how wild ponies arrived on Ocracoke, Jean Day, in her 1997 book, Banker Ponies, writes, "After the winds lessened, the twenty foot waves gentled into ripples on the aqua green sea. The storm was over. Flotsam from the Spanish galleon bobbed to the surface, almost striking a dark object which appeared to be alive. As it came closer to shore, it was obvious it wasn't a man, it was a horse, a small one, but definitely a horse. 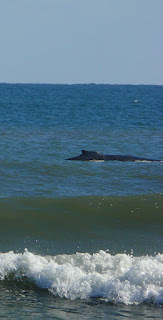 Breakers washed the animal towards shore until he recovered sufficiently to swim." No doubt at least some of the island's wild horses arrived as victims of shipwrecks. Perhaps others were abandoned on the Outer Banks by the earliest explorers. The first European owners of Ocracoke, especially Richard Sanderson, used the island as grazing land for livestock (no fences were required). Early residents, William Howard and John Williams, brought more horses. By the 19th century as many as three hundred wild ponies roamed the island. The annual July 4th pony penning was a major event in the early 20th century. Today, the National Park Service cares for a remnant herd of "wild" ponies in a large corral about 7 miles north of Ocracoke Village. You can read more here. The Park Service also sponsors an Adopt-A-Pony program that is a popular way for folks to support the care and maintenance of out island's most popular residents. 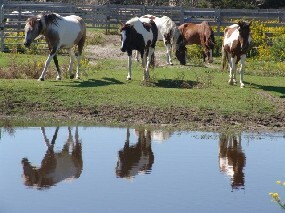 Be sure to stop at the Pony Pen and pay a visit to some of the last descendants of Ocracoke's wild horses. This month's Ocracoke Newsletter tells the delightful story of the 19th century "Stovepipe Hat" wreck. It has been told for years in books & magazines, but it probably never happened. You can read the story (and my research) here: http://www.villagecraftsmen.com/news072115.htm. 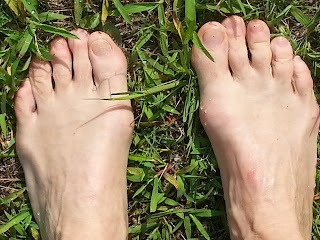 Summertime on Ocracoke always means bare feet. In the 1940s & early 1950s most of the island roads were unpaved, and numerous sandy footpaths meandered throughout the village. I hardly ever wore shoes. Of course, nearly everyone then and now goes barefooted on the beach. My grandson Lachlan continues in that tradition. Earlier this month we took him to summer camp in the mountains of North Carolina. We pulled up in the grassy parking lot, and Lachlan slithered out through the open rear window. Almost as soon as his bare feet hit the grass a councilor gently reminded him that their rules required campers to wear shoes. Lachlan is back on the island now, after two weeks of rock climbing, canoeing, and outdoor activities in the mountains. And his shoes are back on the porch, waiting for him when he gets ready to leave the island again. "Is there a movie theater in town," I had asked. "No, there isn't," she had said with a smile. "Is there a substitute for a movie theater?" I asked. She had looked at me puzzled. " I would say that movies are substitutes for this," she said. Eleven years later there is still no movie theater on Ocracoke...and live music, storytelling, plays, and other entertainments continue to satisfy visitors and residents alike. 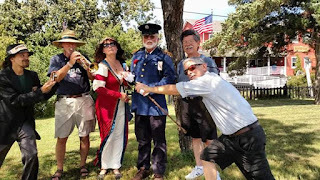 In addition to music at various restaurants and pubs, Ocracoke currently offers the following: The three-act musical, A Tale of Blackbeard, on Monday evenings, "Coyote plus One" (Marcy, Lou, & a guest) on Tuesdays, Ocracoke Opry on Wednesdays, and Ghost & History Walks on Tuesdays & Fridays. In addition you can take in talks aboard the Skipjack Wilma Lee (island history, pirate lore, & stories of oyster dredging) on Wednesdays, Thursdays, & Fridays at 11 am), and Porch Talks & Museum Tours at Ocracoke Preservation Society (1 pm, Monday - Friday). Be sure to check posters around the village for the most accurate and up-to-date information about these and many other events in the village. The Incredible Journey (a water cycle game). The 90 minute programs begin at 10 am, and are held at the former Coast Guard Station, now the campus of the North Carolina Center for the Advancement of Teaching (NCCAT). More information is available here: http://www.ocracokefoundation.org/outdoor-classroom-2015-programs/. 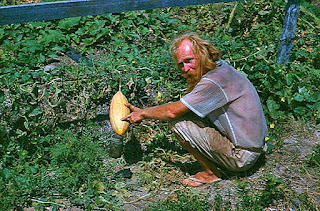 Many of our readers know Dale Mutro, native islander, occasional employee at Village Craftsmen, Ocracoke postal worker, and teller of humorous, often outrageous, island tales. Dale, a descendant of the earliest island residents, has lived on Ocracoke his entire life. On August 4 Dale departs for a two year adventure as postmaster in Unalakleet, a small Alaskan village with a population of under 700 native Inupiat. He begins his new post on August 10. Unalakleet is located on the Norton Sound of the Bering Sea, 148 miles southeast of Nome and 395 miles northwest of Anchorage. 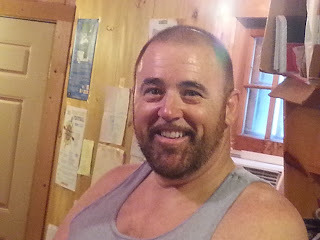 With his quirky, funny and exuberant demeanor, Dale has often been described as "one of a kind." We wish Dale well on this new venture, but everyone who knows him is sure that the Inupiat don't have a clue about what they are in for! We hope Dale will keep us informed of his discoveries and adventures. And we hope to see him back home after two years. Last week Lou Ann interviewed Della Gaskill for an Ocracoke Preservation Society "Porch Talk." Della operates a small gift shop on her property next to the Assembly of God Church. 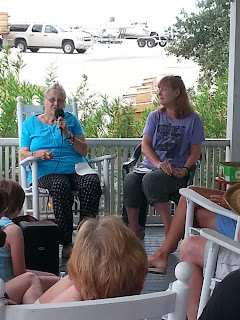 She was born on Ocracoke in 1937, and she has many stories to tell about "Growing up on Ocracoke Island" (that's the subtitle of her memoir, A Blessed Life). Look for Della at her shop on Lighthouse Road, and take home a copy of her book for a glimpse into island life more than a half century ago. A Blessed Life is available from Della, at Village Craftsmen, and at other island businesses. Capt. 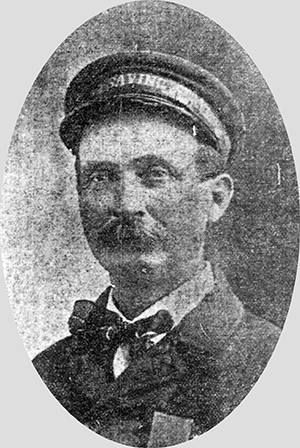 Joseph Merritt Burrus was the last Ocracoke lighthouse keeper to serve as an employee of the United States Lighthouse Service (Clyde Farrow served next, after care of the lighthouse passed to the US Coast Guard). Capt. Joe retired in 1946, after 45 years of service. He died in 1951. Capt. Joe had a playful spirit, and islanders loved to tell the following story about him. It seems that Joe's wife, Miss El, chanced to look out her back doorway, when she noticed her husband walking through the yard dragging something behind him attached to a string. She wondered what he was up to when she realized that he was turning the corner into the side yard. She walked into the parlor and opened the front door. Here came Joe dragging that object behind him. Next thing Miss El knew her husband was again in the back yard. When he rounded the corner into the front yard once more Miss El called out to him. "What in the devil are you up to, Joe, traipsing around the yard hauling that old piece of string behind you? 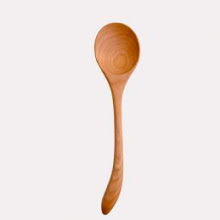 The neighbors will think you've gone off your rocker." "El," Captain Joe, replied, "I've lost my chewin' tobaccy. So I've decided to tie my false teeth to this here string and drag them through the yard. If that tobaccy is anywhere in the vicinity, these teeth will latch onto it, sure as my name is Joe Burrus." 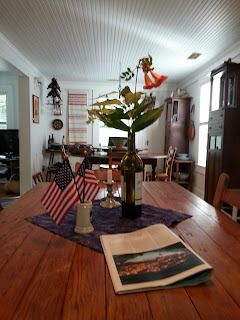 Our friend Jim Fineman, from Manteo, took this photo of my kitchen table during the July 4th weekend. Just thought our readers would enjoy the composition of the picture. We have just published our latest Ocracoke Island Newsletter, the story of the 19th century "Stovepipe Hat" wreck. It is a delightful story told in books, articles, and tourism advertisements...but it probably never happened. Read the whole story here: http://www.villagecraftsmen.com/news072115.htm. One of the joys of summer on Ocracoke is the outdoor shower. Nearly every rental cottage has one, and most islanders do also. 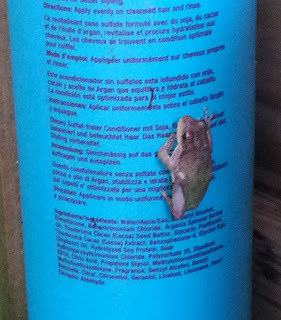 Recently three tree frogs have taken up residence on the shelf in our shower. They are shy, and hang out behind the shampoo bottles. Often they are clinging to the side. If we rotate the bottle they move in the opposite direction, but they are persistent. Sometimes they only hop off after vigorous shaking of the plastic bottle. I guess they like the daily shower as much as we do! 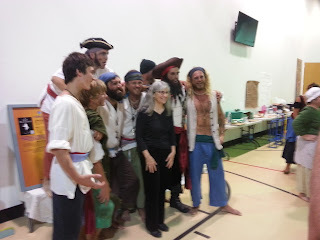 Although Julie Howard's musical, A Tale of Blackbeard, is not entirely historically accurate, it is loosely based on Blackbeard's last days and his 1718 battle with Lt. Robert Maynard at Ocracoke Inlet. There are other snatches of truth and facts woven into the mostly fanciful tale. For example, Miss Euphemia is based on a real-life islander who ran a boarding house on what is now School Road (although her establishment operated in the mid-1800s, not the early 1700s). The real Miss Euphemia (Euphemia Curtis, 1819-1887), daughter of Simon Henry Garrish and Jane Simpson Harvey, is buried behind the Village Craftsmen. "Euphemia's Boarding House" is one of the musical's most memorable songs. Come out to the play one Monday evening, and you'll return home singing this catchy tune! We're the village girls, and we're here to please. We can make you laugh, entertain, or tease. Is providing fun and variety! All the action in this place! We'll be glad to see your face! We'd be glad to get a spouse! We can dance and sing, tell a story too. There is really not much that we can't do! To the most relaxing spot in town! One afternoon we walked over to Blanche's house, and visited with her on the porch. Although we had to repeat the girls' comments and questions because Blanche is quite hard of hearing, we had a pleasant conversation. After a bit we got out our instruments...Lou Ann on the ukulele, and I on the harmonica. We played "O, Susanna," and the girls and Blanche sang along. Next was "Red River Valley," then "Shenandoah." We played one final tune, "This Land is Your Land," before we all gave Blanche hugs, then headed back across the lane. What a treat for young and old to sing folk tunes together on the pizer! 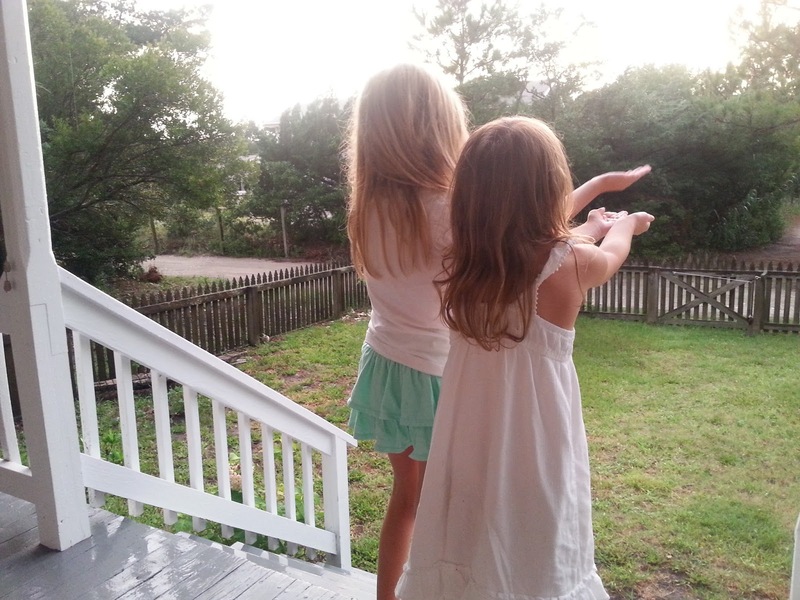 I hope the girls remember that afternoon when they have grandchildren of their own. 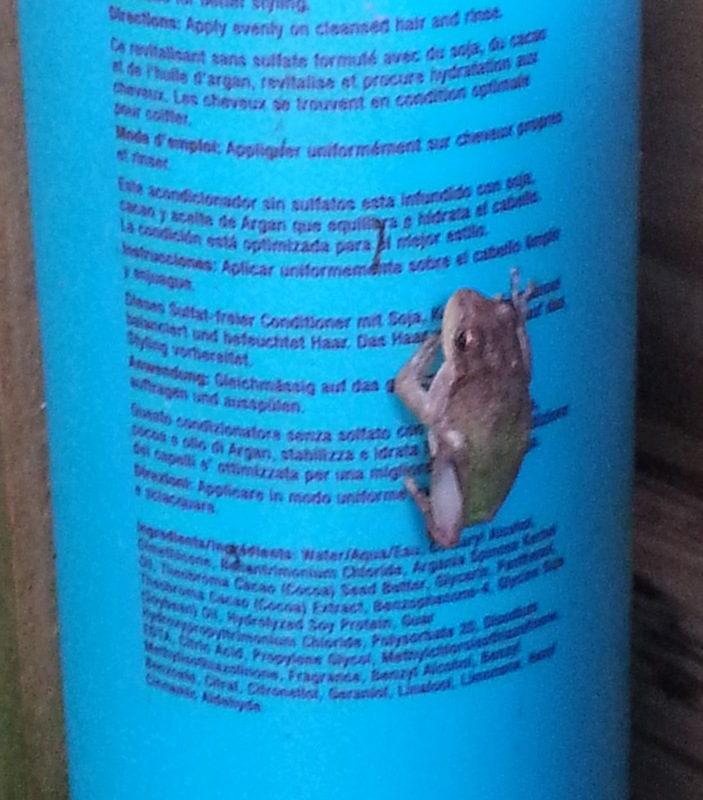 A visitor recently tossed an empty plastic water bottle into our recycling container. I noticed, as I often do, that the label read "Purified by Reverse Osmosis." A 24 pack of this water sells for $2.99. This means that one bottle costs about 12.5 cents. Each bottle holds 16.9 fl. ounces. That's just under three quarters of a cent per ounce. Sounds like a great deal, right? Until you realize that the Ocracoke Water Plant produces pure reverse osmosis water every day. It flows right out of our taps. And it costs $16.00 per 2000 gallons. One gallon equals 128 fl. ounces. That means you could fill 7 1/2 bottles with one gallon of Ocracoke water. The cost comes to .001 cents per bottle. Instead of paying 12.5 cents for one 16.9 oz. bottle of water you could fill 12,500 bottles with pure Ocracoke reverse osmosis water! Or maybe I should start selling bottled water at a 12,500% profit! Every Monday evening through August 17, Ocracoke Alive, a local non-profit that promotes the arts and island culture & traditions, will be presenting Julie Howard's original three act musical, A Tale of Blackbeard. At last week's premier performance the cast of 22 played to a full house at the Ocracoke School Gymnasium with music, songs, and portrayals of piratical activity, love, romance, and lighthearted fun. Swashbuckling pirates, village girls, star-struck lovers, and, of course, the arch-villain Blackbeard kept the audience thoroughly entertained. For more information about the schedule, performance times, and ticket sales click here: http://www.ocracokealive.org/blackbeard.html. You can read more about the play here & here. Ocracoke has for a long time attracted various eccentrics. In the late 1950s through the early 1960s Bill Askren lived on the island. Bill drove an old car to Ocracoke, parked it on a sand hill, and lived in it. Later he moved into a small building on present-day Ocean View Road. 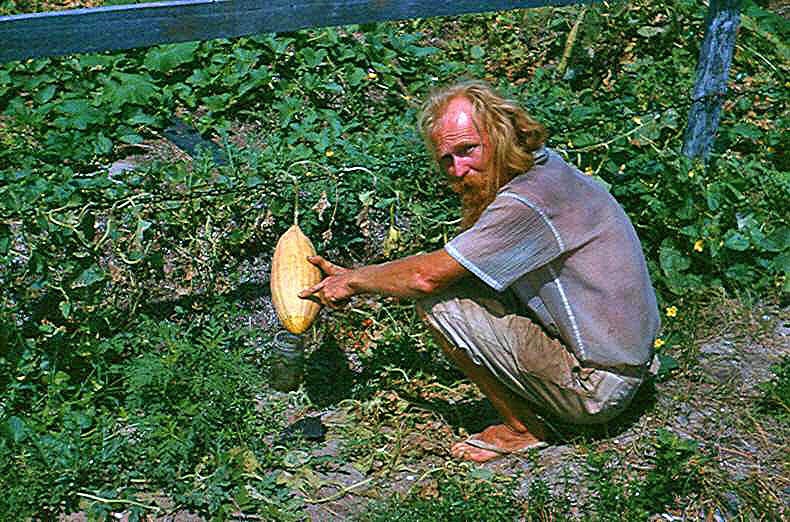 He cultivated a garden, kept mostly to himself, and lived a simple, uncomplicated life. From Ocracoke, Bill Askren moved to California to be closer to his family. For more than three decades Bill stayed in California, spreading his message of peace, the simple life, and healthy living. He was 82 years old when he died April 7, 1999. Bill Askren is buried in Riverside National Cemetery in Riverside, California. Older islanders still remember Bill fondly. He is one of a number of unconventional people who discovered that Ocracoke is generally a non-judgmental community that embraces folks who march to different drummers. Few people realize that residents of the Outer Banks occasionally engaged in whaling as a commercial enterprise. Unlike New Englanders who pursued whales in the open ocean in square-rigged sailing ships outfitted for the task, North Carolinians typically relied on "drift whales" or Right Whales which ventured closer to shore. Look for more information, stories, and pictures of the North Carolina whaling and porpoise fishing industries in a future Ocracoke Newsletter (it will be called "Whaling & 'Porpoise' Fishing on the Outer Banks"). Two days ago I shared the story of Rasmus Midgett and his daring rescue of ten crew members from the wrecked barkentine, Priscilla. According to Jan DeBlieu in her 1998 book, Hatteras Journal, Matthew Midget (or Midyett), a Frenchman of undetermined age, in 1722 was granted nineteen hundred acres of the Outer Banks known as Bodie Island (so named because of the great number of bodies washed ashore there from numerous shipwrecks). Matthew had learned carpentry in London. Then, about 1708, signed on as a sailor aboard a ship bound for America. His vessel sank in a hurricane, and Matthew washed ashore at Chicamacomico Banks (near Rodanthe). 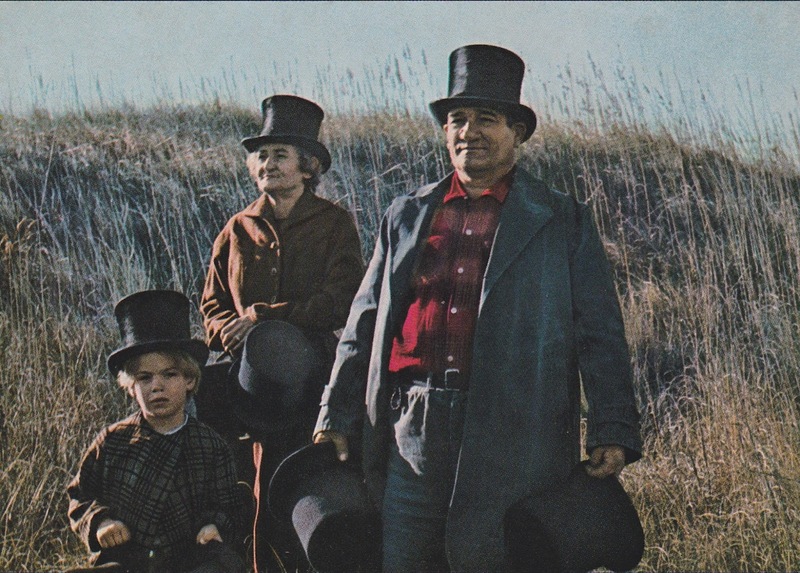 In subsequent years, the Midgetts (or Midgettes) became one of the most prominent, and most numerous, families on Hatteras Island. By 1874 six of the seven crew members of the Chicamacomico Life-Saving Station were Midgetts. Over the years they have distinguished themselves in valiant rescues, and have been awarded seven gold life-saving medals. What fun we had on the 4th! Even though we didn't get out to the beach for the sand castle contest (we were busy getting our float ready), we did enjoy some of the other activities, including the old car display, Donald Davis' storytelling, the Ocracoke square dance, and, of course, the parade. Mickey Roberston of Teach's Hole Pirate Shop took this photo of us just before the parade started. Left to right are: David from the Paparazzi Press, Sir Garrett our trumpeter, Princess LouAnnia, Prince Felipe, George Roberson (an innocent bystander), and, in front, our Secret Service Agent, Jim. Because we were in the parade (by the way, we won 3rd place in the "floats" division) we didn't take any photos. However, the Ocracoke Current published their annual July 4th article: "Parade: Piratical and Patriotic." There you can read more, and see some great photos of Bones the Pirate (he won the "Better Some Best in Show" award), as well as other award winning entries. We hope you had a wonderful July 4th celebration, either here on the island, in your home town, or in some other location. In August of 1899 Erasmus (Rasmus) S. Midgett (1851-1926), Outer Banks native and surfman with the United States Life-Saving Service, performed one of the most daring and remarkable rescues in the annals of the USLSS. 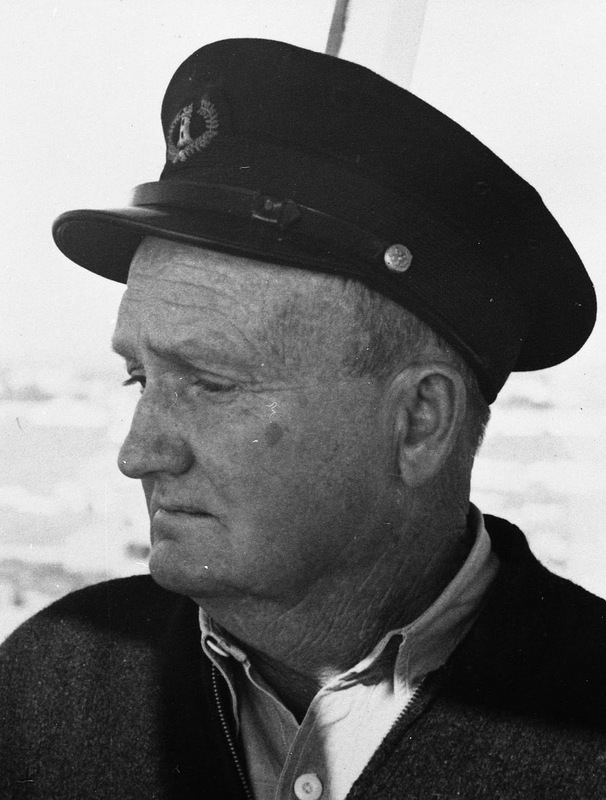 Single-handedly, and risking his own life, surfman Midgett saved ten sailors from the wrecked barkentine, Priscilla. You can read the story here: http://ncpedia.org/biography/midgett-erasmus-s.
For his bravery and heroism, Midgett was awarded the gold life-saving medal. The Washington Times honored Rasmus Midgett with a full page article in their edition of August 7, 1904. It is titled "Rasmus S. Midgett, A Hero Where Work Demands Heroism." We hope you can join us tomorrow for our Ocracoke Independence Day celebrations. Last year Hurricane Arthur swept across the Outer Banks, and most of our events were canceled. Here are several photos from the 2013 July 4th parade. Click on the link below for a complete schedule of this year's events. Ocracoke Island's 2014 Independence Day Schedule of Events: http://www.ocracokevillage.com/4th-of-July.html. Happy Fourth of July to all of our readers, from the staff of Village Craftsmen! "I've heard some stories a hundred times at least, and there are some stories that are repeated every three or four weeks on the docks -- what so-and-so said at such-and-such a time. Some stories seem like they happened yesterday and I know that these people were dead before I was born." -- Al Scarborough. "May 9. The Brune, a frigate of 36 guns, and the Merlin, of 20 guns, two of his tyrannic Majesty’s ships of war, are now cruising on this coast, having lately taken nine vessels between Ocracock and Cape-Fear, where they put in to water, having on board a renagado [an archaic form of renegade] American pilot, who served his time in Cape Fear river. The prisoners say the ships are not half manned, and that they met with great insults and savage usage from the humane and polite English officers and seamen, and were stripped of their money and cloaths"